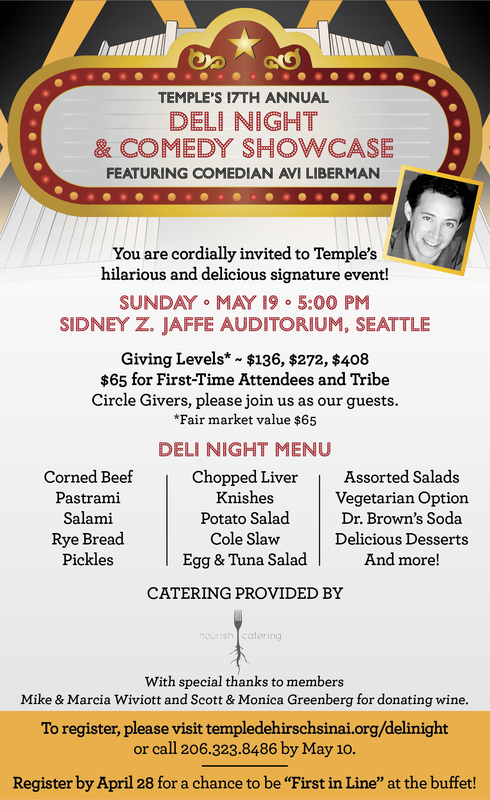 Deli Night – Temple De Hirsch Sinai. 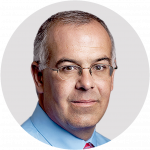 Register now and the first 25 guests to register will receive a pair of complimentary tickets to hear best-selling author David Brooks on Monday, April 29 at 7:00 PM at Temple’s Seattle campus presented by Elliott Bay Book Company. 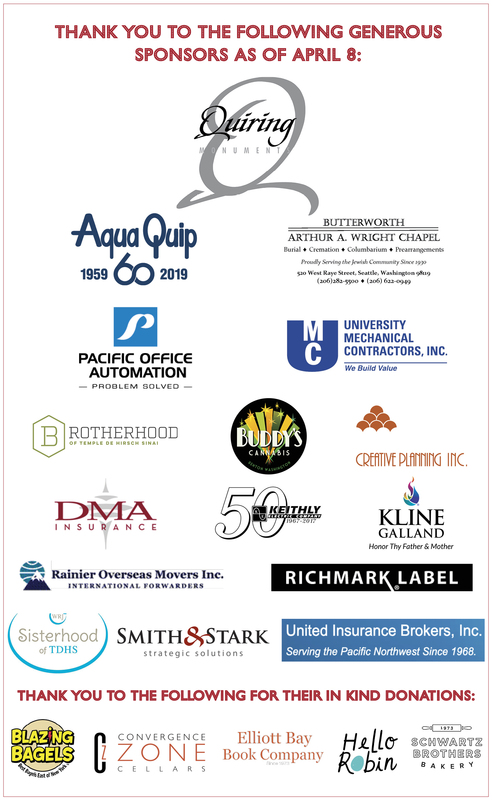 Register by April 28 for a chance to be “First in Line” at the buffet! Questions? Call 206.323.8486 or email delinight@tdhs-nw.org!